The AFA series is a range of affordable analytical balances with all the features you need for quality control, education and special applications in any laboratory. 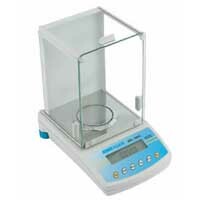 The AFA balances offer a choice of 7 weighing units plus several features such as % weighing and parts counting as well as accessories for density determination and below pan weighing. Additional features are motorized internal calibration and automatic temperature compensation, a large clear LCD display and dual tare keys for ease of operation.